Mr. Jeffrey J. Graham, age 60 of Roma Street, Bristol, died Monday, January 21, 2019 at the Philip Hulitar Hospice Inpatient Center, Providence. He was the husband of Lynn Y. (Azzarone) Graham, his wife of 37 years. Born in Providence and a lifelong Bristol resident, he was a son of the late Raymond J. and Mary Alice (Lewis) Graham. 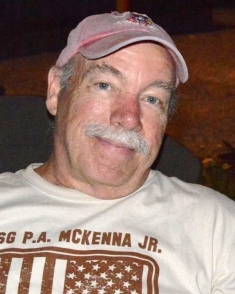 Jeffrey was an outside machinist for Electric Boat in Quonset Point, RI for 39 years, retiring in March 2018 due to illness. He loved spending time riding his Harley-Davidson Motorcycle, camping and just being on and by the water. He is survived in addition to his wife, by two daughters, Sara J. White (Christopher) and Bethany J. Cook (Jason), both of Bristol and four grandchildren, Brielle Claire Cook, Leah Jean White, Jax Jason Cook and Ella Lynn White, and a sister, Geraldine Marsden of Quaker Hill, CT.